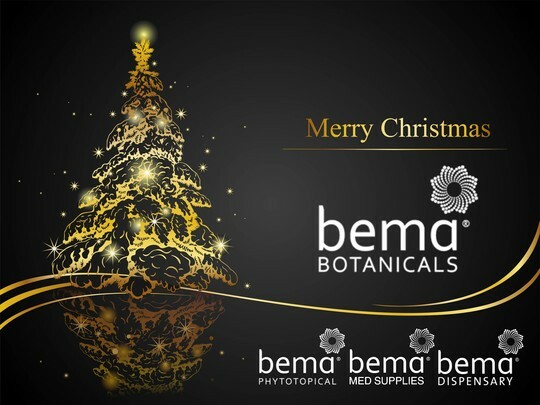 Our Bema Team would like to send our best wishes to you, your families and friends a festive season and a prosperous business in the New Year. We want to take this moment to sincerely thank you for your continued and on-going support! Our business flourishes on the relationships we build and grow with everyone. We hope that the 2018 New Year of the Dog will bring more blessings with great opportunities and possibilities. Celebrating Bema’s 15th anniversary milestone, we are excited to introduce our expanded product line - the "BEMA Med Supplies" department, offering a great selection of medical devices and clinical supplies, including acupuncture needles, auricular seeds, and other products such as moxibustion and cupping equipment, TDP lamps…etc. Combining with our existing botanical solutions, Bema is committed to providing complete and comprehensive support to the industry with emphasis on our guiding principle of Quality, Safety, and Efficacy. In addition, we would like to present our valued patrons with the 2018 new-year gift - a custom-designed Bema calendar featuring TCM components, such as the inclusion of traditional 24 solar terms, healthy-living recommendations, and useful reminders for the 2018 dates for Celestial Moxa treatment ~ convenient for you to notify the patients. This coming year will, again, be all about providing the best service possible and also the most effective products. Thank you for letting us continue to be your trusted ally assisting with your practice and business growth. We will keep you up to date as we plan more events, seminars and improvements for 2018. Lastly, we would like to thank you all again, and additionally for your patience and understanding as shipping and handling may be less than ideal during this busy holiday season. We will do our utmost to make sure the year ends without a hitch.